This next #ballerinainbusiness I admire to the moon & back. She was my very first roommate when we both moved to San Francisco as young, teenagers to pursue the next step in our ballet training. Over the years together, she grew not only to become a dear friend of mine, but a true sister to me. Meet Bryn Gilbert of BrynLaviniaDesigns! This Tennessee gal brings all the glitz and glam to the stage in her custom, embellishment costume designs. Based in Memphis, Tennessee, after dancing professionally with San Francisco Ballet & Ballet Memphis, Bryn dove into the world of teaching and joined the staff of a premier dance studio, NVS Dance. Bryn is no stranger to using a needle & thread. She learned to sew by way of spending countless hours sewing her own pointe shoes since the tender age of 10. However, Bryn's passion for sewing embellishments on costumes grew from her meeting the needs of her students. What started as sewing and designing her own dancer's costumes for their competitions & recitals, has lead her to open her Etsy shop in the Fall of 2017, where she currently provides both ready to ship costumes, as well as custom made orders nation wide. 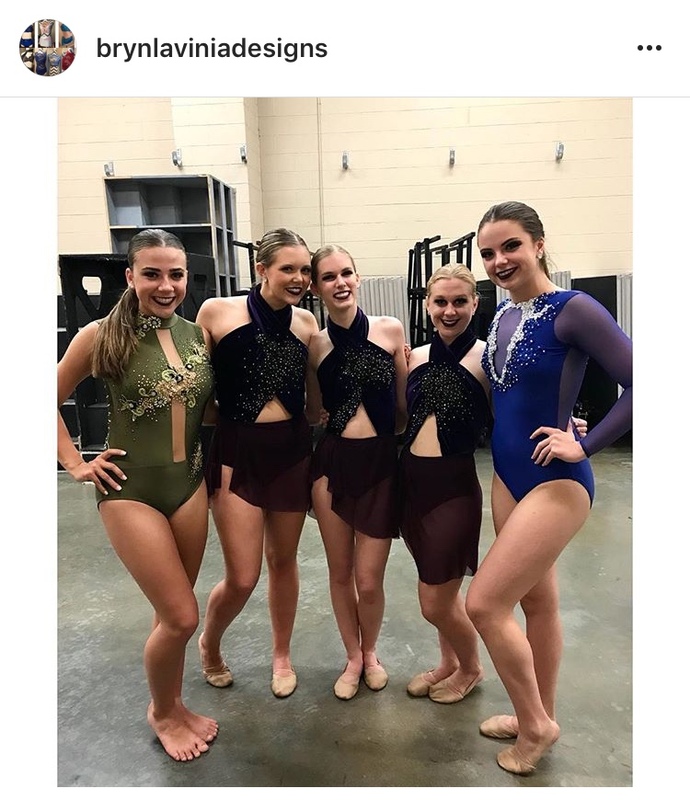 Bryn's designs have graced stages around the country by incredible, talented young dancers competing in a variety of competitions, including the prestigious Showstopper's. She is no stranger to what it takes for her students to compete & feel their best on stage, having won junior's at the Anaheim Showstopper Nationals back in 2004 herself! What I love about Bryn is not only the beauty she creates with her hands, but the beauty that she is inside & out. Bryn is not just a teacher, but a role model to her students. She cares deeply, pushes them to achieve more than they can imagine for themselves, and knows how to have fun with them too. She has the heart of a mentor, one who gives without asking anything in return, & her laugh always lights up a room. To keep up with Bryn's gorgeous designs, be sure you like her Facebook Page and are sure to be following her businesses Instagram account @brynlaviniadesings.